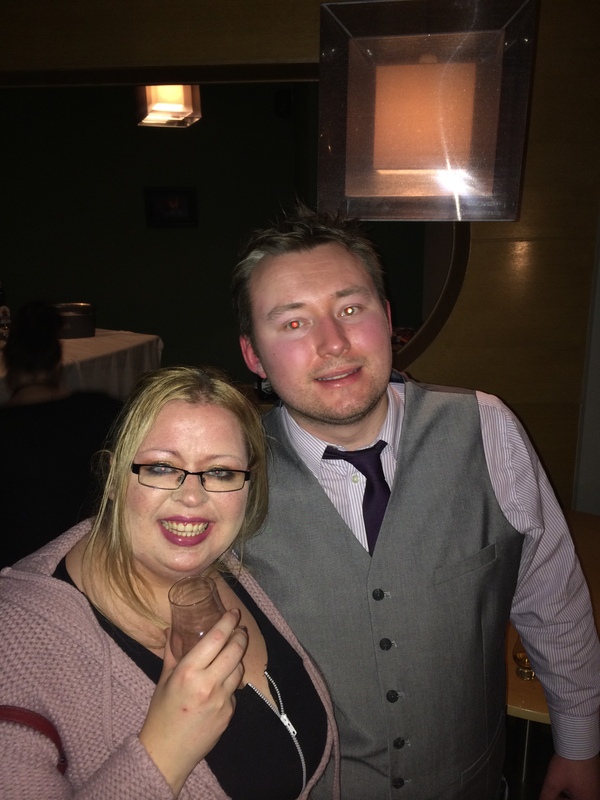 Great Blog, Great Guys, Great Venue, Great Cake? It’s dark, it’s cold, it’s wet, it’s a school night, but did we care? No we didn’t and why didn’t we? Because we had a party to go to and not just any party, oh no, we had an awesome birthday party to go to. 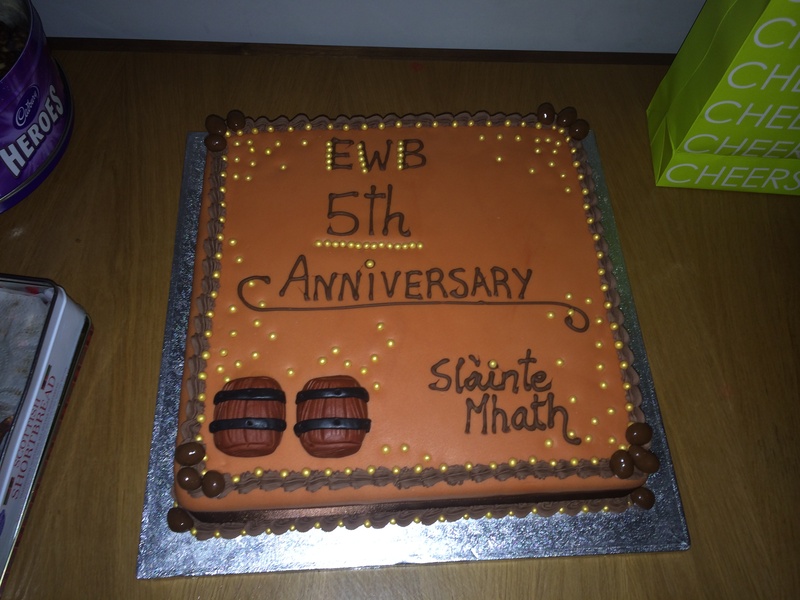 Time has flown in and the excellent EWB (@EdinburghWhisky) have turned 5, and in what is becoming somewhat of a tradition, decided to throw a party. So the location was the rather fantastic Michael Neave Kitchen and Whisky Bar (@Michael_Neave), located just off Cowgate, Edinburgh, lovely décor, cosy and intimate and worth braving the quite frankly treacherous hill (seriously what is that gradient! ), find out more about this venue here www.michaelneave.co.uk and give it a visit. We were welcomed by Chris Hoban (@chrishoban1) all the guys were looking very dapper, as if you would expect anything else. We started the night with the rather lovely Glen Keith – Batch 1 (That Boutique-y Whisky Company), find it here, yes the one adorned with the guys from EWB themselves. This was a fantastic dram, bottled at 51.2% and a limited edition, very sweet yet earthy on the nose, hints of tart green apples and vanilla, rich on the palate without becoming cloying, a tingle of ginger and a lovely biscotti finish, we can highly recommend this dram, you need to try this whisky (we did, several times). There was plenty of the whisky world’s great and good and a lovely mix of guys and girls who were friends of the EWB chaps who had also turned out to wish them well, oh yes, and there was us (we’ll let EWB decide which category we fall into). We really enjoyed chatting to the always entertaining Ewan from Harviestoun (@harviestounbrew), and the very lovely Ginny (@wemyssginny) and Jackie from the Wemyss Malts team (@wemyssmalts), we are so very excited about all that’s happening at Kingsbarns Distillery (@kingsbarnsdist). 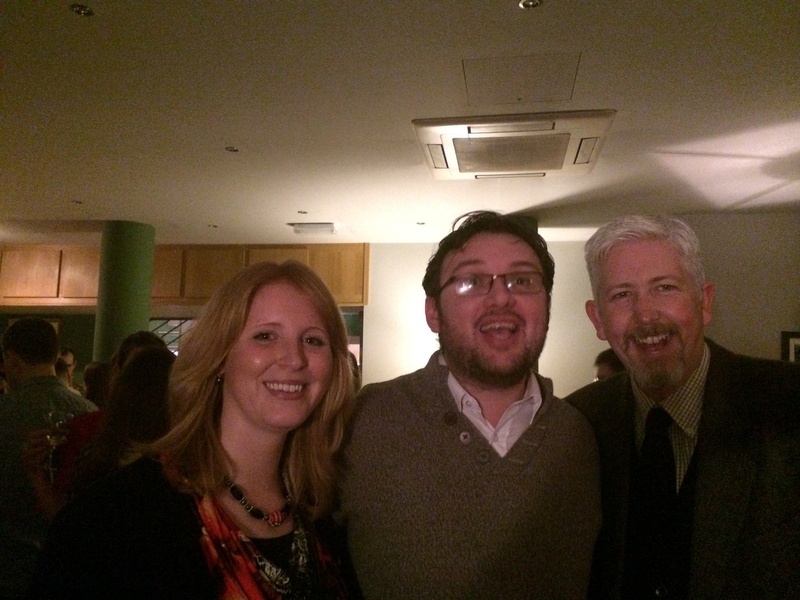 It was great to bump into Anna Wilkie (@weewilko), and Jason Johnstone-Yellin who came all the way over from the USA to represent The Jewish Whisky Company (@jewishwhiskyco) (@monocaskism). Okay, we’ll stop with the name dropping now. We enjoyed some heart felt speeches from both Lukasz and Tiger, both were entertaining and some lovely food too, loving the mini fish and chips, I’m too scared of haggis to give it a go but heard nothing but good reports about it. We enjoyed a chat with Lucas too, thanks for taking time out of your night to wish us well and for the kind words. 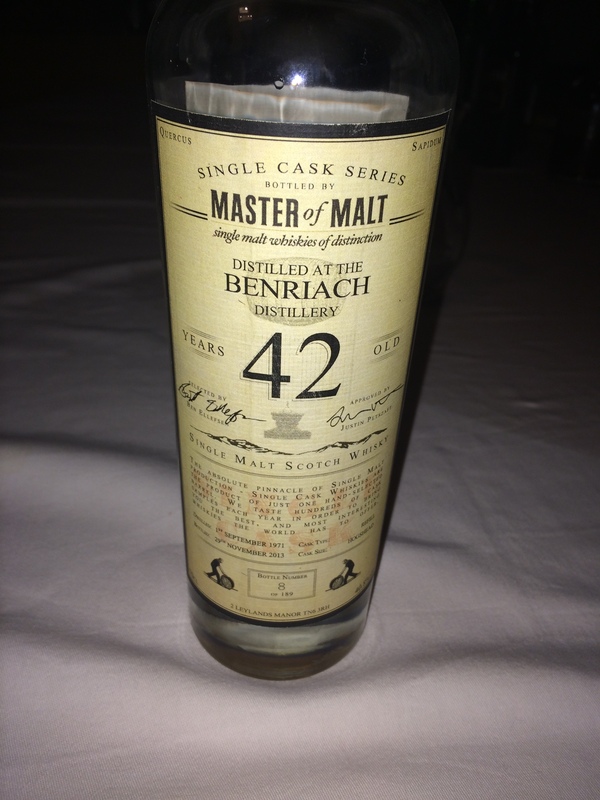 We also enjoyed a simply fantastic Master of Malt 42yo BenRiach. What can we tell you about this dram, well one, it’s amazing, two, we want it, three, it’s out of price range and four, what a whisky to celebrate with! The palate was tropical as you would expect, think a stunning Island in the Caribbean, whilst basting yourself in coconut oil, think that wonderful fruit salad aroma and then throw in a little corner of Britain with tart rhubarb and gooseberries. Palate lighter than you might expect, but no less special, still tropical fruit but softer, in come the orchard fruits, in comes golden syrup and before it gets just too sweet, the mighty oak comes marching in and toughens it up a bit. If you can afford it, buy it and when you do please may we have some? What else can we can say, aside from keep up the good work guys, thanks for a great party, and seeing as we were sensible and left before last orders (not like us at all), was that cake as good as it looked?